Michael Wearry, a Louisiana prisoner whose conviction and death sentence were overturned by the U.S Supreme Court in 2016 because prosecutors withheld exculpatory evidence, has filed suit against Livingston Parish District Attorney Scott Perriloux (pictured) and former Sheriff's Deputy Marlon Kearney Foster based upon new evidence that they deliberately fabricated testimony against him. Wearry's complaint charges that the Louisiana officials "knowingly and deliberately fabricated" testimony from a troubled adolescent, Jeffery Ashton and coerced Ashton "to falsely implicate Wearry in the homicide of Eric Walber." The lawsuit says Wearry first learned that Perriloux and Foster had fabricated Ashton's testimony during the course of preparing for Wearry's re-trial, when his defense team located and interviewed Ashton and "Ashton told Wearry’s lawyers about the falsification of his witness accounts." 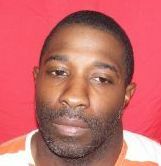 Wearry was convicted and sentenced to death in 2002, although no physical evidence linked him to the murder. His alibi witnesses testified that he was at wedding reception 40 miles away in Baton Rouge at the time of the murder. The U.S. Supreme Court has described the case against Wearry as "a house of cards." The prosecution case relied heavily on the testimony of Sam Scott, a jailhouse informant, whose story changed so dramatically over the course of four different statements that, according to the Supreme Court, by the time of trial "his story bore little resemblance to his original account." Police records that prosecutors withheld from the defense at trial revealed that Scott had may have had a personal vendetta against Wearry, having told another prisoner he wanted to "make sure [Wearry] gets the needle cause he jacked over me." Prosecutors also failed to disclose that they had offered another witness a reduced sentence for an unrelated conviction in exchange for his testimony against Wearry, and then lied to the jury that the witness had "no deal on the table." Wearry's lawsuit concerns allegations of misconduct involving the testimony of Jeffrey Ashton, who was ten years old at the time of the murder and fourteen when he testified at Wearry's trial that he had seen Wearry throw the victim's cologne bottle into a ditch and get into the victim's car. He now says he was attending a festival on the night of the murder and had never seen Wearry before the trial. "Ashton was subject to juvenile court proceedings at the time, and was vulnerable to intimidation by authorities such as Perrilloux and Foster," the lawsuit says. In an affidavit, Ashton says he was "forced" to provide false testimony. "I went along with it because I was just ten years old. I was scared," he said. Jim Craig, Wearry's attorney, called the alleged misconduct "very disturbing," and said, "[t]he abuse of power by District Attorney Perrilloux and Mr. Foster is an outrage that should disturb anyone who believes in justice." He added that he believes the case may have implications for other cases handled by Perriloux, saying, "I think the integrity of this and other cases in that district is at stake and we expect this to be a very hard fought case. We are confident that what we have filed is correct and truthful." District Attorney Perrilloux called the allegations that he coerced testimony from Ashton "ridiculous." 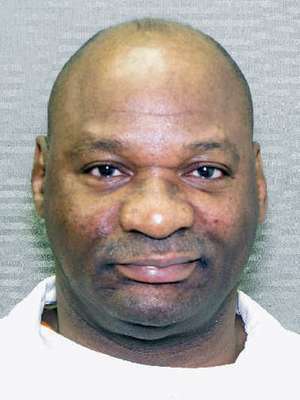 In a ruling three dissenters criticized as an "outlier," and after having been rebuked by the U.S. Supreme Court in 2017 for ignoring the medical consensus defining intellectual disability, a sharply divided (5-3) Texas Court of Criminal Appeals (CCA) has upheld the death sentence imposed on Bobby James Moore (pictured) 38 years ago. On June 6, 2018, the CCA ruled that Bobby Moore is not intellectually disabled under the most recent clinical definition of the disability and may be executed, despite a finding by a trial court judge, a concession from the Harris County District Attorney's office, and briefs from numerous professional associations and disability advocates all concluding that Moore meets the diagnostic criteria for intellectual disability. Harris County prosecutors had filed a brief with the CCA, stating, "[a] review of the Supreme Court's decision and the record before this Court supports but a single conclusion: Bobby James Moore is intellectually disabled under current medical standards and ineligible for execution." In a forceful dissent, Judge Elsa Alcala, joined by Judges Bert Richardson and Scott Walker, catalogued the numerous groups that had concluded Moore satisfied the medical criteria for intellectual disability and wrote: "There is only one outlier in this group that concludes that applicant is ineligible for execution due to his intellectual disability, but unfortunately for applicant, at this juncture, it is the only one that matters. Today, in solitude, a majority of this Court holds that applicant is not intellectually disabled, and it denies his application for habeas relief." 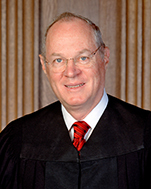 Moore initially presented his claim that he is intellectually disabled and therefore ineligible for the death penalty under the 2002 U.S. Supreme Court ruling Atkins v. Virginia to a Harris County trial court. After making credibility determinations about the lay and expert testimony it heard, that court agreed that Moore had intellectual disability as defined by contemporary medical diagnostic criteria. However, the CCA reversed, applying an idiosyncratic set of criteria known as "Briseño factors" (named after the Texas court decision that announced them), which were based on unscientific stereotypes, including the behavior of a fictional character from Of Mice and Men. Last year, in Moore v. Texas, the U.S. Supreme Court unanimously struck down Texas' use of that criteria, saying that a court's intellectual disability determination must be "informed by the medical community’s diagnostic framework." The Court criticized the manner in which the CCA assessed Moore's significant deficits in adaptive functioning, saying the CCA had improperly focused on the adaptive skills Moore possessed, rather than the clinically required assessment of his areas of diminished functioning. It also said the CCA had improperly based its judgment on Moore's adaptive deficits on how he was able to function in the highly regimented prison setting. The dissent emphasized that the majority again gave improper consideration to these factors in reaching its conclusion that Moore was not intellectually disabled, and said the court had misapplied current medical standards and failed to defer to the trial court's credibility rulings. As a result, the dissent said, the CCA "essentially continues to determine that mildly intellectually disabled people are subject to the death penalty in contravention of the Supreme Court’s holding in Moore." 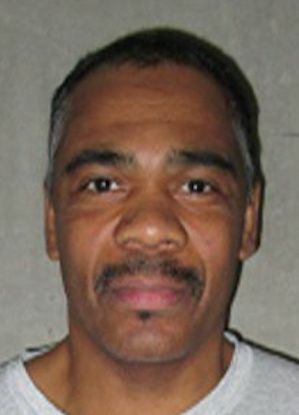 The U.S. Supreme Court has agreed to review a federal appeals court decision vacating the conviction of Patrick Dwayne Murphy (pictured), a Native-American prisoner sentenced to death in Oklahoma state court for a murder he argues could only be prosecuted by the federal government. On May 21, 2018, the Court granted Oklahoma’s petition to review an August 2017 decision by the U.S Court of Appeals for the Tenth Circuit ruling that Murphy—a member of the Muscogee (Creek) Nation—should not have been tried in state courts because the killing occurred within the borders of the Creek Reservation, which the court found to be “Indian country.” Under the federal Major Crimes Act, certain enumerated crimes, including murder, are subject to exclusive federal jurisdiction if committed in Indian country by or against an Indian. A unanimous three-judge panel of the appeals court sided with Murphy and Native American friend-of-the-court advocates who argued that the boundaries of the Creek Reservation—which spans eleven counties across Oklahoma, including most of Tulsa—were established in an 1866 treaty between the U.S. and the Creek Nation and that Congress has never disestablished them. In their petition to the Court, state prosecutors challenged the circuit court's ruling that found that the 1866 treaty between the U.S. and the Creek Nation remains intact, claiming that the decision “threatens to resurrect Oklahoma’s pre-statehood status.” Murphy’s brief opposing the State’s petition argues that, while the State of Oklahoma has long “asserted absolute criminal and civil jurisdiction” over these lands, it has done so “in defiance of Congress’s statutes, in furtherance of one of this country’s most shameful episodes of plunder and exploitation.” The land in question in the case has long been claimed by the Muscogee (Creek) Nation. Kevin Dellinger, attorney general for the Muscogee (Creek) Nation, said that they “welcome the chance for the United States Supreme Court to affirm the Muscogee (Creek) Nation’s sovereign territorial boundaries as established in our 1866 treaty with the United States.” The Tenth Circuit “found clear confirmation that Congress deliberately preserved the Muscogee (Creek) Nation reservation,” he said. “Unable to dispute the clear historical record and the law, the state of Oklahoma has asked the Supreme Court to read into facts that simply do not exist and/or to change the well established applicable law.” The Supreme Court will hear argument in the case in the Fall. Justice Gorsuch, who previously served as a judge on the Tenth Circuit, took no part in the decision to review the case.